Apparently, a card game session went wrong in the Lion’s Pride Inn’s basement and someone bled all over the place. Thankfully that doesn’t tarnish the beauty of this Unreal Engine 4-World of Warcraft map too much. 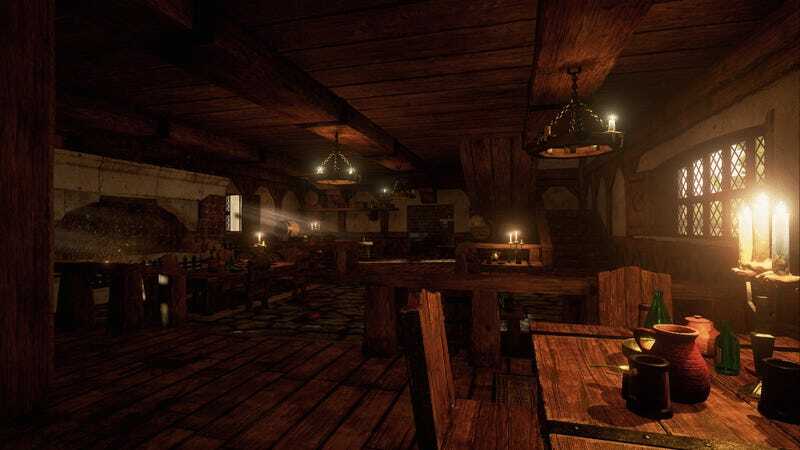 Made by Mikhail Petaykin, a 3D artist from Russia, the build, called “Dawn in the Lion’s Pride Inn,” is one part nostalgic WoW tribute and one part practice. By Petaykin’s own admission, it’s his first UE4 project, and it’s pretty awesome, considering that.